So it turns out pretty much everyone in gaming hates the SOPA. When it comes to most political issues, the game industry is just as varied in opinions as any other group you'd care to name. When it comes to the Stop Online Piracy Act which would give the government a great deal of power over the internet, everyone seems to be against it. 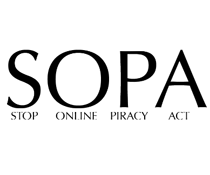 Over the past week or so, Bungie,Good Old Games,Riot,Runic and others have taken stands against the SOPA. Razer's display of opposition was particularly strong. At this point there are few in the game industry supporting the bill, with the Entertainment Software Association being one of them. Another non-gaming entity has come out against the act as well - the Obama administration. "While we believe that online piracy by foreign websites is a serious problem that requires a serious legislative response," says an official statement signed by the president's IP coordinator, cybersecurity coordinator and chief technology officer. "We will not support legislation that reduces freedom of expression, increases cybersecurity risk, or undermines the dynamic, innovative global Internet."